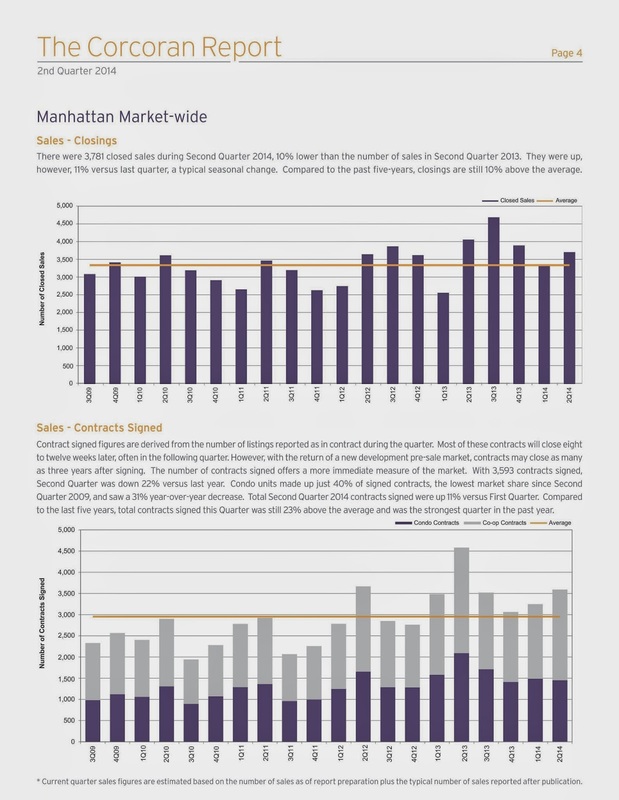 Overall, the market-wide cost for Manhattan’s homes increased 20% in average sale price, 6% in median sale price, and 15% in average price per square foot versus Second Quarter 2013. The average price per square foot reached $1,286 this quarter, a new peak. · Inventory Starting to Turn Around. Although the number of properties listed for sale remains low (52% below the peak in Q1 2009), inventory rose for the second quarter in a row. · Limited Supply Buoys Prices. inventory was up, but its overall continued depressed level maintained competitive conditions among those in the market to purchase. · Luxury Sales Grow Disproportionate. Activity at the high end continued to be robust, and grew as an overall percentage of the market. Properties above $3M now account for 12% of sales (up 3% from a year ago), and 26% of available inventory (up 4%). 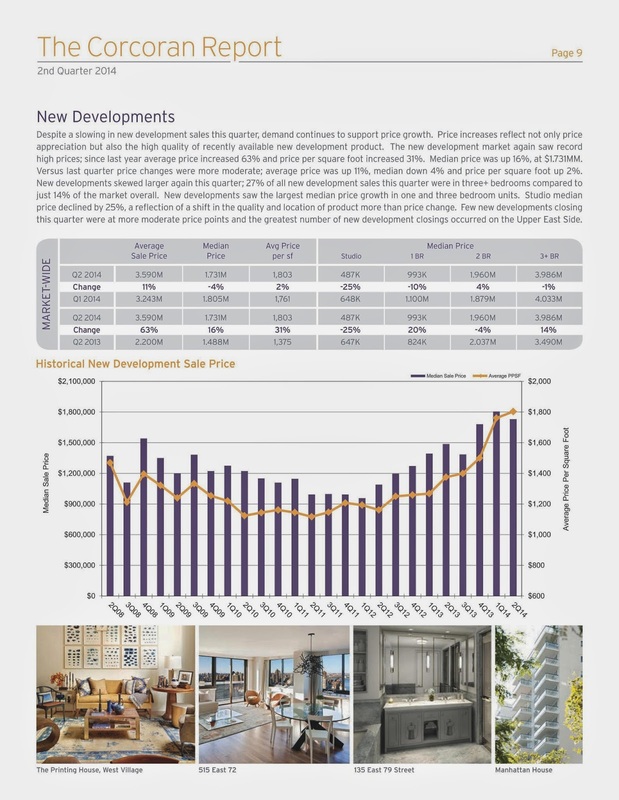 · Price Per Square Foot Sets New Record. 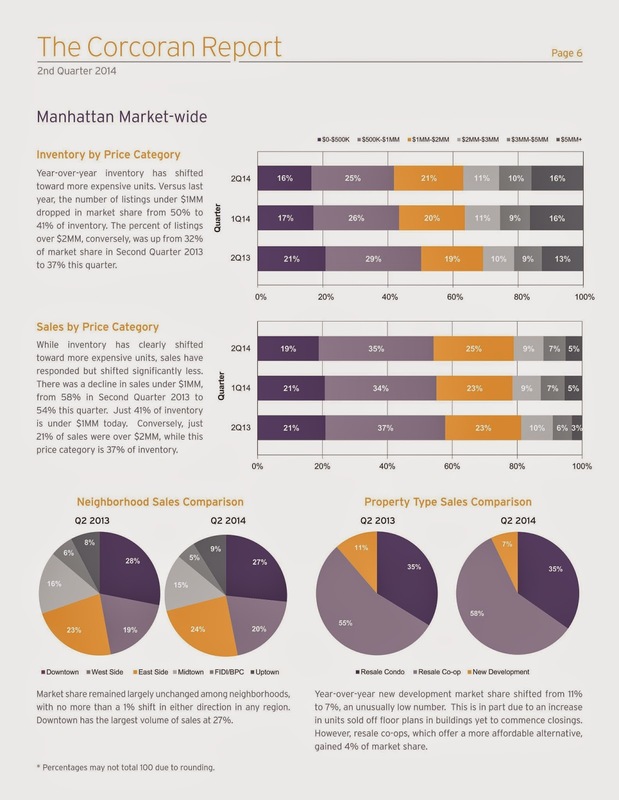 The focus on high-end sales drove the average price per square foot for Manhattan real estate up to $1,286. 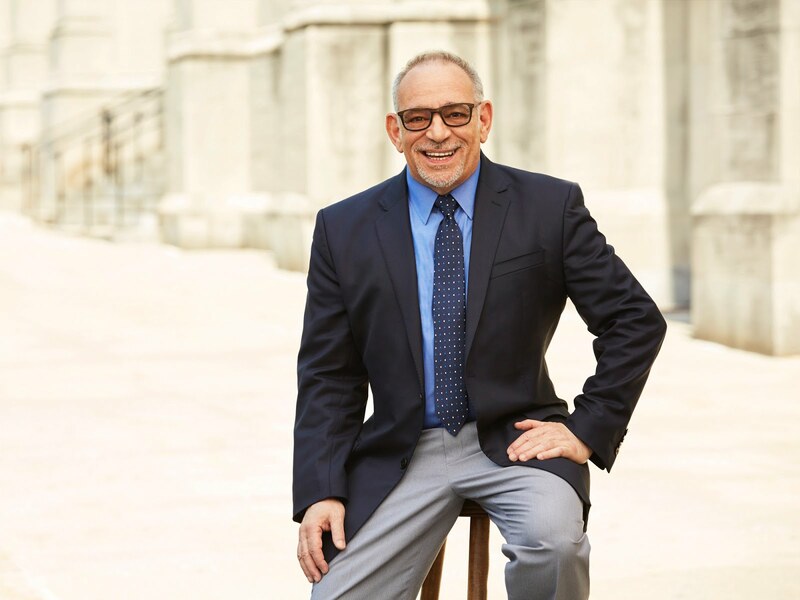 The Second Quarter described signs of buyer fatigue and caution, particularly amongst prospective buyers of small units. With prices at their peak, there is less incentive to become a first-time buyer, or to trade up from a starter home. Sellers act now and price it right. Each market segment and neighborhood has it's own nuances. 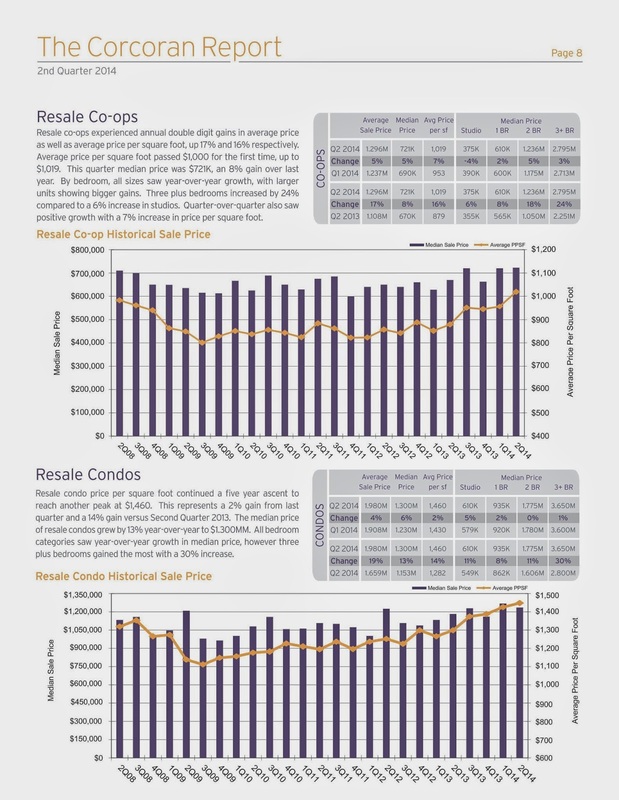 If you're thinking about buying or selling a home, or would like to discuss the market or this report please contact me. 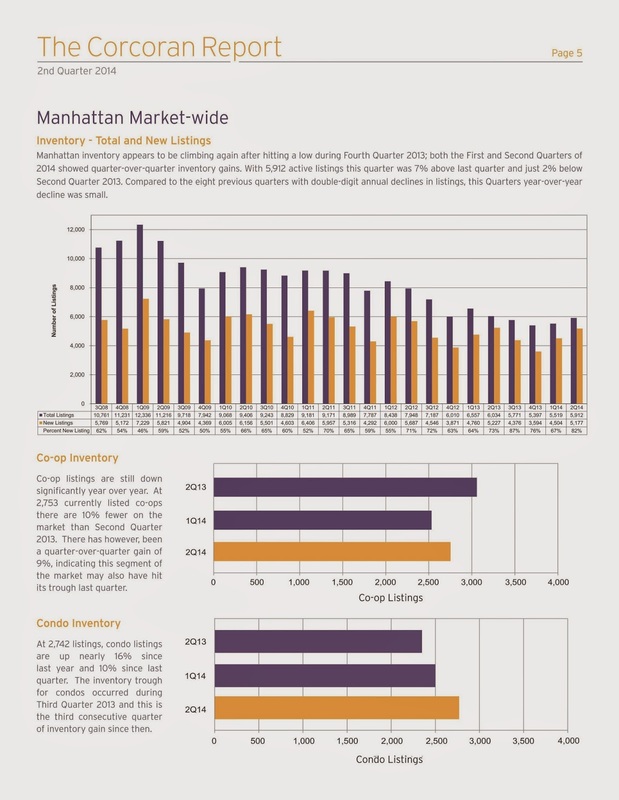 For the complete Corcoran Manhattan Second Quarter Report including neighborhood reports.